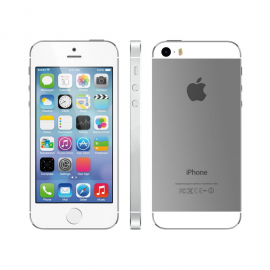 Apple iPhone 5sThe iPhone 5S (stylized and marketed as iPhone 5s) is a smartphone that was.. The iPhone 6 is smartphone designed and marketed by Apple Inc. It is the eighth generation of the iPhone, succeeding the iPhone 5S that was announced on September 9, 2014, and released on September 19, 2014. 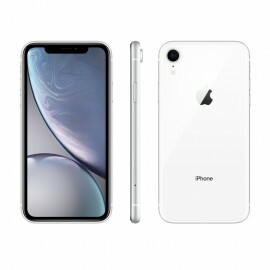 The iPhone 6 and 6 Plus include larger 4.7 and 5.5 inches (120 and 140 mm) displays, a faster processor, upgraded cameras, improved LTE and Wi-Fi connectivity and support for a near field communications-based mobile payments offering. The design of the iPhone 6 is influenced by that of the iPad Air with a glass front that is curved around the edges of the display, and an aluminum rear that contains two plastic strips for the antenna. Both models come in gold, silver, and "space gray" finishes. The iPhone 6 has a thickness of 6.9 millimeters (0.27 in), while the iPhone 6 Plus is 7.1 mm (0.28 in) in thickness; both are thinner than the iPhone 5c and iPhone 5s, with the iPhone 6 being Apple's thinnest phone to date. 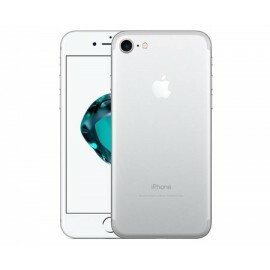 The most significant changes to the iPhone 6 and iPhone 6 Plus are its displays both branded as "Retina HD Display" and "ion-strengthened", the iPhone 6 display is 4.7 inches in size with a 16:9 resolution of 1334x750 (326 ppi, minus one row of pixels), while the iPhone 6 Plus includes a 5.5-inch 1920x1080 (1080p) display (401 PPI). The displays use a multiple-domain LCD panel, dubbed "dual-domain pixels" the RGB pixels themselves are skewed in pattern, so that every pixel is seen from a different angle. This technique helps improve the viewing angles of the display. To accommodate the larger physical size of the iPhone 6, the power button was moved to the side of the phone instead of the top to improve its accessibility. The iPhone 6 features a 6.91 Wh (1810 mAh) battery, while the iPhone 6 Plus features an 11.1 Wh (2915 mAh) battery. Unlike the previous model, the rear-facing camera is not flush with the rear of the device, but instead protrudes slightly. Both models include an Apple A8 system-on-chip, and an M8 motion co-processor—an update of the M7 chip from the iPhone 5s. The primary difference between the M8 and the original M7 coprocessor is that the M8 also includes a barometer to measure altitude changes. Phil Schiller touted that the A8 chip would provide, in comparison to the 5s, a 25% increase in CPU performance, a 50% increase in graphics performance, and less heat output. The iPhone 6's rear-facing camera now has the ability to shoot 1080p video at either 30 or 60 frames per second and slow-motion video at either 120 or 240 frames per second. The camera also includes phase detection autofocus. It can also record. When first released, the iPhone 6 was supplied pre-loaded with iOS 8, while the iPhone 5S was supplied pre-loaded with iOS 7. Apps are able to take advantage of the increased screen size in the iPhone 6 to display more information on-screen; for example, the Mail app uses a dual-pane layout similar to its iPad version when the device is in landscape mode on the iPhone 6 Plus. To improve the usability of the devices' larger screens, an additional "Reachability" gesture was added; double-tapping the Home button will slide the top half of the screen's contents down to the bottom half of the screen. This function allows users to reach buttons located near the top of the screen, such as a "Back" button in the top-left corner. Upgradable to iOS 12. The iPhone 6 is smartphone designed and marketed by Apple Inc. It.. The iPhone 6 is smartphone designed and marketed by Apple Inc. It is ..
Apple iPhone 6s PlusThe iPhone 6S Plus is smartphones that were designed, developed, and m..
9(800), 20(800), 25(1900), 26(850), 28(700), 29(700), 38(2600), 39(1900), 40(2300), 41(2500). Security is simple when your face is your password. You can unlock your iPhone and log in to apps, accounts, and more with a glance. It’s the most secure facial authentication ever in a smartphone. And now it’s even faster. APPLE iPhone XRBrilliant. 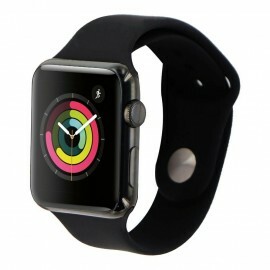 In every way.All-new Liquid Retina display — the most advanced LCD in the ..
Apple Watch 1st Gen Stainless SteelApple Watch features Stainless steel or space black s.. Both models include an Apple A8 system-on-chip, and an M8 motion co-processor an update of the M7 chip from the iPhone 5s. The primary difference between the M8 and the original M7 coprocessor is that the M8 also includes a barometer to measure altitude changes. Phil Schiller touted that the A8 chip would provide, in comparison to the 5s, a 25% increase in CPU performance, a 50% increase in graphics performance, and less heat output. The iPhone 6 is smartphone designed and marketed by Apple Inc. I.. The iPhone 6 Plus is smartphone designed and marketed by Apple Inc. It is the eighth generation of the iPhone, succeeding the iPhone 5S that was announced on September 9, 2014, and released on September 19, 2014. 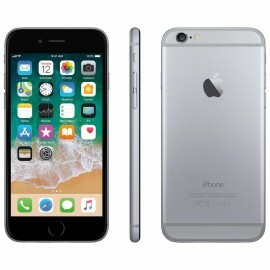 The iPhone 6 and 6 Plus include larger 4.7 and 5.5 inches (120 and 140 mm) displays, a faster processor, upgraded cameras, improved LTE and Wi-Fi connectivity and support for a near field communications-based mobile payments offering. The design of the iPhone 6 Plus is influenced by that of the iPad Air with a glass front that is curved around the edges of the display, and an aluminum rear that contains two plastic strips for the antenna. Both models come in gold, silver, and "space gray" finishes. The iPhone 6 Plus is 7.1 mm (0.28 in) in thickness and thinner than the iPhone 5c and iPhone 5s, with the iPhone 6 being Apple's thinnest phone to date. The most significant changes to the iPhone 6 Plus is its displays branded as "Retina HD Display" and "ion-strengthened", the iPhone 6 Plus a 5.5-inch 1920x1080 (1080p) display (401 PPI). The displays use a multiple-domain LCD panel, dubbed "dual-domain pixels"; the RGB pixels themselves are skewed in pattern, so that every pixel is seen from a different angle. This technique helps improve the viewing angles of the display. To accommodate the larger physical size of the iPhone 6 Plus, the power button was moved to the side of the phone instead of the top to improve its accessibility. The iPhone 6 Plus features an 11.1 Wh (2915 mAh) battery. Unlike the previous model, the rear-facing camera is not flush with the rear of the device, but instead protrudes slightly. iPhone 6 Plus include an Apple A8 system-on-chip, and an M8 motion co-processor an update of the M7 chip from the iPhone 5s. The primary difference between the M8 and the original M7 coprocessor is that the M8 also includes a barometer to measure altitude changes. Phil Schiller touted that the A8 chip would provide, in comparison to the 5s, a 25% increase in CPU performance, a 50% increase in graphics performance, and less heat output. The iPhone 6 Plus rear-facing camera now has the ability to shoot 1080p video at either 30 or 60 frames per second and slow-motion video at either 120 or 240 frames per second. The camera also includes phase detection autofocus. It can also record. But also includes optical image stabilization. The front-facing camera was also updated with a new sensor and f/2.2 aperture, along with support for burst and HDR modes. When first released, the iPhone 6 Plus was supplied pre-loaded with iOS 8, while the iPhone 5S was supplied pre-loaded with iOS 7. Apps are able to take advantage of the increased screen size in the iPhone 6 Plus to display more information on-screen for example, the Mail app uses a dual-pane layout similar to its iPad version when the device is in landscape mode on the iPhone 6 Plus. To improve the usability of the devices' larger screens, an additional "Reachability" gesture was added; double-tapping the Home button will slide the top half of the screen's contents down to the bottom half of the screen. This function allows users to reach buttons located near the top of the screen, such as a "Back" button in the top-left corner. Upgradable to iOS 12. 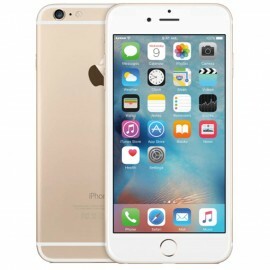 Apple iPhone 6 PlusThe iPhone 6 Plus is smartphone designed and marketed by Apple Inc. 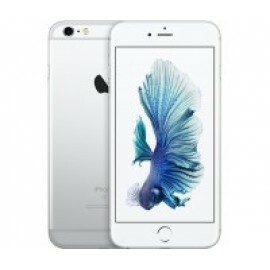 It is the ei..
Apple iPhone 6 PlusThe iPhone 6 Plus is smartphone designed and marketed by Apple Inc. 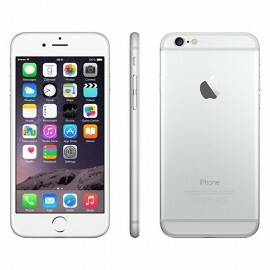 It ..
Apple iPhone 6 PlusThe iPhone 6 is smartphone designed and marketed by Apple Inc. It is the eighth g.. 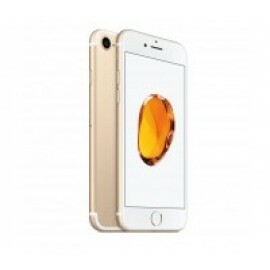 The iPhone 6S is smartphone that was designed, developed, and marketed by Apple Inc. It is the ninth generation of the iPhone. They were announced on September 9, 2015 at the Bill Graham Civic Auditorium in San Francisco by Apple CEO Tim Cook, with pre-orders beginning September 12 and official release on September 25, 2015. While the capacities of their batteries are slightly smaller, Apple rates the iPhone 6S as having the same average battery life as their respective predecessors. The A9 system-on-chip was dual-sourced from TSMC and Samsung. Although it was speculated that the Samsung version had worse battery performance than the TSMC version, multiple independent tests have shown there is no appreciable difference between the two chips. Although the device was not promoted as such, the iPhone 6S has a degree of water resistance because of a change to its internal design, which places a silicone seal around components of the logic board to prevent them from being shorted by accidental exposure to water. 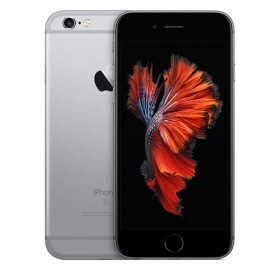 The iPhone 6S is powered by the Apple A9 system-on-chip, which the company stated is up to 70% faster than Apple A8, and has up to 90% better graphics performance. The iPhone 6S has 2 GB of RAM, more than any previous iPhone,and also supports LTE Advanced. The Touch ID sensor on the 6S was also updated, with the new version having improved fingerprint scanning performance over the previous version. 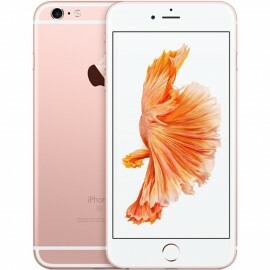 The iPhone 6S was originally offered in models with 16, 64, and 128 GB of internal storage. 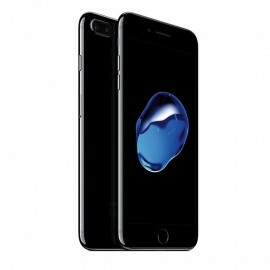 Following the release of iPhone 7 in September 2016, the 16 and 64 GB models were dropped and replaced by a new 32 GB option. For improved storage performance, iPhone 6S utilizes NVM Express (NVMe), resulting in a maximum average read speed of 1,840 megabytes per second. The iPhone 6S features a 12-megapixel rear-facing camera, an upgrade from the 8-megapixel unit on previous models, as well as a 5-megapixel front-facing camera. It can record 4K video, as well as 1080p video at 60 and now 120 frames per second. The camera was well received by many critics of the phone. When the camera takes a 4K video recording, it can use the storage on the phone rapidly. The 16 gigabyte version of the phone was only able to hold 40 min of video. The iPhone 6S originally shipped with iOS 9 the operating system leverages the 3D Touch hardware to allow recognition of new gestures and commands, including "peeking" at content with a light touch and "popping" it into view by pressing harder, and accessing context menus with links to commonly used functions within apps with harder presses on home screen icons. The camera app's "Retina Flash" feature allows the display's brightness to be used as a makeshift flash on images taken with the front camera, while "Live Photos" captures a short video alongside each photo taken. The iPhone 6S supports iOS 12, which was first released on September 17, 2018. The iPhone 8 Plus is a smartphone designed, developed, and marketed by Apple Inc. It is the eleventh generation of the iPhone. They were announced on September 12, 2017, alongside the higher-end iPhone X, at the Steve Jobs Theater in the Apple Park campus, and were released on September 22, 2017, succeeding iPhone 7 and iPhone 7 Plus. Besides the addition of a glass back, the designs of iPhone 8 Plus is a largely similar to that of its predecessors. Notable changes include the addition of wireless charging, a faster processor, and improved cameras and displays. The iPhone 8 Plus shares most of its internal hardware with the iPhone X. The iPhone 8 Plus retain the Retina HD Display found in the iPhone 7, but it now features True Tone technology, allowing for automatic screen adjustments based on surrounding ambient lighting. It can play HDR10 and Dolby Vision content despite not having an HDR-ready display, done by down-converting the HDR content to fit the display while still having some enhancements to dynamic range, contrast, and wide color gamut compared to standard content. The iPhone 8 Plus upgrades the main camera for a wide-angle lens with up to 10× digital zoom or 2× optical zoom, and retains a second, telephoto lens similar to the one found on the iPhone 7 Plus, but with improved depth-of-field and lighting effects in Portrait mode. Both models have a 7 MP front camera with an f/2.2 aperture capable of capturing 1080p video at 30 frames per second and 720p video at 240 frames per second, along with face detection and high-dynamic range. The iPhone 8 Plus contain the Apple A11 Bionic system-on-chip, a hexa-core processor that the company says features two cores that are 25% faster than the iPhone 7's A10 processor and four cores that are 70% faster than the prior model. The phones also feature an Apple-designed graphics processing unit 30% faster than prior units, with the same level of performance as the A10 at half the power. The phones have glass backs instead of the complete aluminum housing found on prior models, enabling the use of Qi-standard wireless charging. 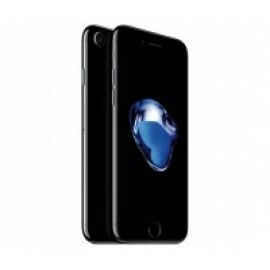 The phone is rated IP67 for water resistance. It comes with 64 and 256 gigabyte storage options, and are offered in silver, gold, or Space Gray color options. A Product Red special edition version in red with a black front was released on April 9, 2018. The iPhone 7 and 7 Plus special editions had a white front. The iPhone 8 Plus shipped with iOS 11 on launch, and support iOS 12. The iPhone 8 Plus is a smartphone designed, developed, and marketed by Apple Inc. It is the elevent.. The custom-engineered OLED displays on iPhone XS deliver the most accurate colour in the industry, as well as HDR and true blacks. And iPhone XS Max has our largest display ever on an iPhone. 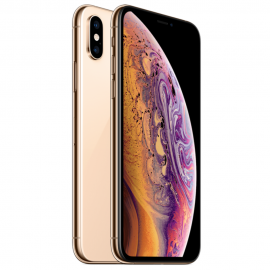 Apple iPhone XS MaxWelcome to the big screens.Super Retina in two sizes — including the largest dis.. The iPhone 6S Plus is smartphones that were designed, developed, and marketed by Apple Inc..
Apple iPhone XSWelcome to the big screens.Super Retina in two sizes — including the largest display..
How do you create a deeply intelligent device whose enclosure and display are a single, uninterrupted element? That’s the goal we first set for ourselves with the original iPhone. With iPhone X, we’ve achieved it. With iPhone X, the device is the display. An all‑new 5.8‑inch Super Retina screen fills the hand and dazzles the eyes. The display employs new techniques and technology to precisely follow the curves of the design, all the way to the elegantly rounded corners. The front and back are all glass - the most durable we’ve ever made, with a strengthening layer that’s 50% deeper. A seven-layer ink process allows for precise hues and opacity, and a reflective optical layer enhances the colors. And an oleophobic coating lets you easily wipe off smudges and fingerprints. We’ve always intended iPhone to be a truly wireless device, free from charging cables and headphone cords. With a glass back and an embedded wireless charging system, iPhone X is designed for a wireless future. The TrueDepth camera system allows you to take amazing photos and enables Face ID. It’s housed in a tiny space at the top of the display, yet within this miniaturized module are some of the most advanced technologies we’ve ever developed. iPhone X is precision-engineered at the microscopic level to protect against water, splashes, and dust. 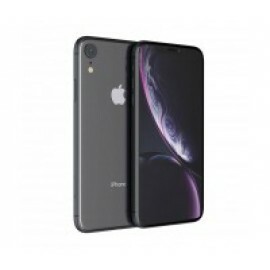 Apple iPhone XDesign and DisplayHow do you create a deeply intelligent device whose enclosure and ..
Apple iPhone 7iPhone 7 dramatically improves the most important aspects of the iPhone experience. I.. The Apple iPhone is one of the most widely used smartphones in the world, and for good reason. Described as ‘revolutionary’ and ‘a game changer’ on its debut back in 2007, it has only gotten better and more impressive as time has gone on. However, that quality and innovativeness comes at a price – quite literally. How pricey can a new iPhone get? 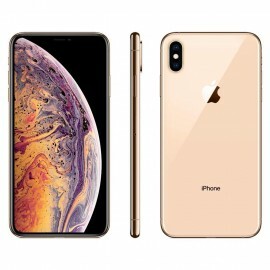 Well, the newest top of the line model – The iPhone XS Max 512 GB – will set you back a staggering $2,369! At these prices, new iPhones are out of most buyers’ reach. 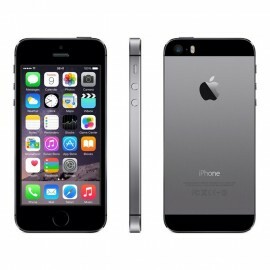 Thankfully, you can purchase a wide range of heavily discounted, excellent quality refurbished iPhones at Phonebot! The last few generations of iPhone and iPad have been some of the models’ most impressive, debuting or perfecting industry-changing technology such as Touch ID (fingerprint recognition), Face ID, dual-lens cameras and more. All this technological wizardry, however, saw the already quite pricey phone’s MSRP rise. For those hoping to acquire their dream phone or tablet at a steal of a price, take a look at our used iPhones and Apple refurbished iPads. You can now own an excellent condition iPhone for next to nothing with our older models. A Grade A iPhone 5s can be had for the astonishingly low price of $149.00. 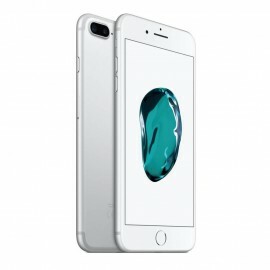 Those looking for more screen size and something featuring Apple’s more recent design sensibility can purchase the same grade iPhone 6 for just $249.00! 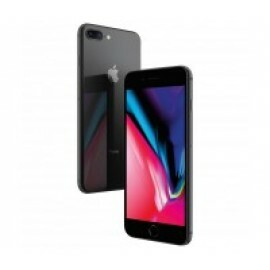 We also offer incredible savings on newer models – a Grade A iPhone 8 Plus can be yours for just under $800, while we are one of the few outlets to offer a Like New iPhone XR for the unheard price of $1,049.00. 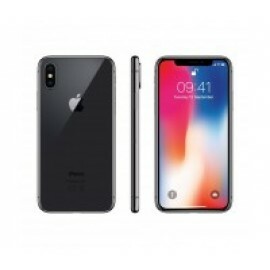 Other newer models we offer include the iPhone 8, the iPhone X and the always in demand iPhone XS Max. Unlike many mobile phone retailers, we do not neglect those customers desiring quality tablets at reduced prices. We carry an incredibly wide range of iPads, ranging from the recently-released 6th Generation Wi-Fi and Cellular equipped iPad to classic models like the 3rd Generation iPad. To those curious about the ‘refurbished iPhone’ meaning, these are new in an open box or lightly used iPhones that have been carefully checked and outfitted with new batteries and accessories where necessary. 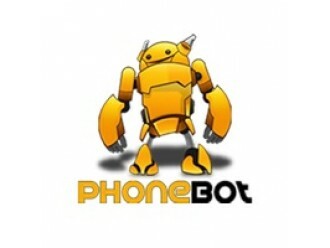 For the best value in iPhones, take a look at the refurbished lineup at Phonebot!